[vc_row][vc_column][vc_column_text] Every minute, somewhere in the world, two people die as a result of a work-related accident. Statistics published by the International Labour Organisation estimate that, every year, over 2 million women and men succumb to work-related fatalities or diseases. And the number of occupational accidents that leave workers either partially injured or permanently disabled, is in the hundreds of millions. 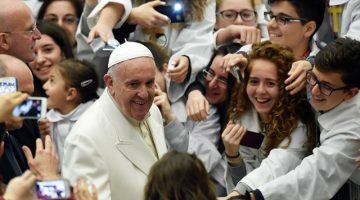 On Thursday morning in the Vatican, Pope Francis met with members of the Italian Association for Injured Workers (ANMIL). He praised the Association for its efforts to support both the victims of accidents at work and their families. He also acknowledged how “those who have undergone permanent and debilitating injuries at work experience particular suffering, especially when their disability prevents them from continuing to work and provide for themselves and their loved ones. To all of them I express my closeness”, he added. Subsidiarity can be defined as taking decisions at a level where they can have the greatest effect, rather than depending on a central authority to make those decisions. 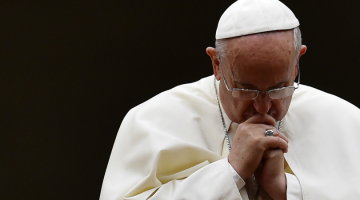 “Solidarity”, said Pope Francis, “is always combined with subsidiarity, which is its completion, so that everyone is allowed to offer their contribution to the common good”. The Pope went on to quote from the social teaching of the Catholic Church which, he said, “constantly recalls this balance between solidarity and subsidiarity”. We must ensure, he said, that “on the one hand, solidarity is never lacking and, on the other, solidarity is not limited to making passive those who can still make an important contribution to the world”. 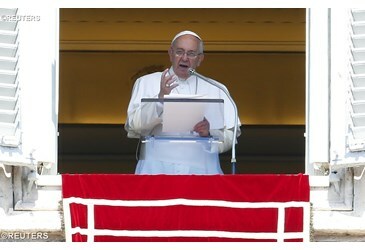 Pope Francis went on to reflect on the need to overcome what he called “the fallacious and harmful equivalence between work and productivity, which leads to measuring the value of people on the basis of the quantity of goods or wealth they produce, reducing them to a cogwheel in a system”. This perverse perception, he said, “contains within itself the seed of exploitation and subjugation, and is rooted in a utilitarian concept of the human person”. We need to “open our eyes”, said Pope Francis, and recognise that those we see before us are not commodities, but people: “brothers and sisters in humanity”.